SALF 2013 starts 23rd Oct - Do not miss it! The South Asian Literature Festival (SALF), London’s premier event for writing and discussion on the Subcontinent, returns to the capital for the fourth consecutive year from October 23rd to November 1st 2013. SALF is a celebration of the language, culture and literary heritage of South Asia, and is produced annually by Amphora Arts. 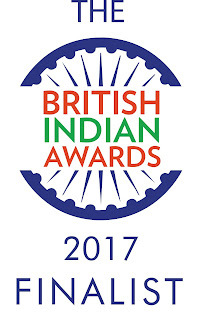 Major themes this year include Indo-Caribbean literature, Asian Britain, Partition and Mythology. With support from Arts Council England, British Council, and the Foyle Foundation, SALF will present 30 events with over 50 writers at a number of venues across London, including Asia House, British Library, Conway Hall, Free Word Centre, University of Westminster (Regents Street) and Weiner Library, as well as schools across the capital. Authors and speakers this year include Amit Chaudhuri, Daljit Nagra, Kamila Shamise, Damian Barr, Declan Walsh, Gaiutra Bahadur, Jaspreet Singh, Jeet Thayil, Neel Mukherjee, Razia Iqbal, Sathnam Sanghera and Yasmin Alibhai-Brown. Tickets are available through www.southasianlitfest.com or by calling the Festival Box Office on 01865 798797.